Nothing quite matches the charm of a personalized experience with a mom and pop hardware store. Not only will you be aided by an expert store-owner, but you’ll find the products you’re searching for all while supporting a local business. Whether you’re starting your first home project or just want to talk shop, the following 10 hardware stores are the best spots in the state. The Village Hardware Store has been serving the Alexandria, Virginia, area since 1979. The pledge that has kept them in business all these many years? “Offering a high-quality product with personalized service.” Village Hardware stocks the biggest names in the business, including Weber, Big Green Egg, GMG, Stihl, Yeti, Benjamin Moore, and more. Get free delivery on all grill purchases and see why Village Hardware has successfully thrived in an environment of big box stores. Pleasants Hardware in Richmond, Virginia, has sold “most anything” since 1915. For over 100 years, Pleasants has remained a locally owned and operated store focused on treating every customer better than anywhere else. Pleasants provides an excellent selection of builder’s hardware, signs, paint sundries, electrical supplies, lawn and garden, tools, rope and chain, mailboxes, residential hardware, and much, much more. Come support a Richmond institution. 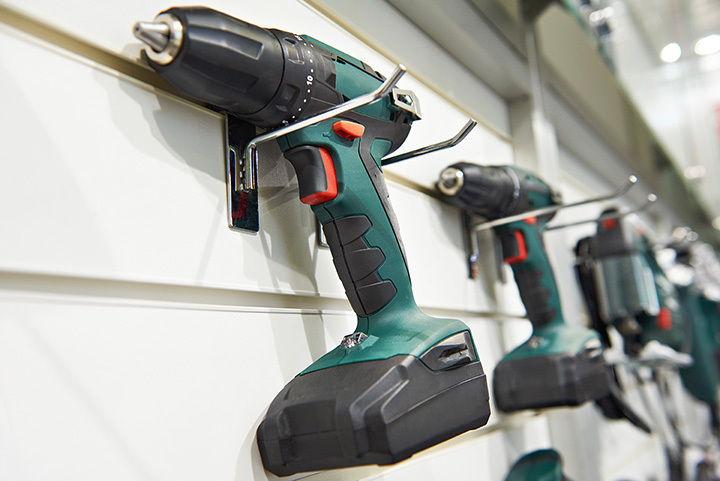 McLean Hardware focuses on household and hardware needs with a comprehensive inventory. If they don’t have what you’re looking for, they’re more than happy to special order it for you. McLean Hardware item categories include paint and paint supplies, electrical supplies, bath accessories, housewares, window and screen repair, sharpening services, keys, mulch and soil, lawn and garden, glass, tools, locks, and more. Let their 60 years of experience guide your next home project. What began in 1947 as a single hardware store has grown over the years into nine locations across seven Virginian cities. Each of the Northwest locations offer the best brands on the market, including Weber grills, Benjamin Moore paint, Blue Buffalo pet food, Wrangler Jeans, and Stihl power tools, but what makes them unique is their alliances with the Community Christmas Store, Kiwanis Club, Rotary Club, and Chamber of Commerce. Despite their growth, Northwest continues to give back to the communities they are a part of. Check out any of their locations in Christiansburg, Clifton Forge, Dublin, Roanoke, Ridgeway, Sale, and Vinton today. Capps Home Building Center is celebrating over 30 years of service to the people of Moneta, Virginia. For 12 years, Capps has been voted to have the best customer service in the Smith Mountain Laker Magazine. In addition to the incredible selection in their massive store, Capps is intimately involved with the Smith Mountain Lake community by regularly supporting charitable causes. Capps has design services, products from all of the major suppliers, installing services, and regular specials. Young’s Old Shop in Mears, Virginia, is one of the area’s best lumber and hardware stores, and has been since opening in 1973. Young’s supplies lumber, tools, hinges, knobs, nails, dog houses, birdseed, soaps, decoys, wood trim… just about anything you can imagine. Young’s Old Shop is the quintessential mom and pop shopping experience, focused on customer care and real-life know-how. When a store has been open since 1893, you’ve got to trust that they know what they’re doing. In the case of Martin Hardware in Charlottesville, Virginia, you don’t have to take our word for it: see for yourself. With a dizzying array of products and over a hundred years of industry experience, you can’t do better than putting your trust in Martin’s. Make sure to check their website for regularly updated door buster coupons. The Red Hill General Store in Hillsville, Virginia, harkens back to the days of quaint, small town farm life. In a Red Hill retail store, you’ll find a wide array of housewares, farm supplies, outdoor materials, pet supplies, and lawn and garden tools. Shop online or in store, and while you’re there, check out the throw-back items, like classic glass milk bottles, apple peelers, and rustic straw hats. Since 1995, Comet Plumbing has been Virginia Beach’s one-stop-shop for plumbing supplies, repairs, and parts for home owners, restaurant owners, and contractors alike. While most of the stores on this list have been general hardware stores, Comet is focused on plumbing, with products that range from fixtures to rebuild and repair kits, trim kits, faucets, lids, garbage disposals, water heaters, drain cleaners, pipe, and more. The fine folks at Comet are happy to help with any home project or questions you might have. Meadowbrook Hardware in Norfolk, Virginia, describes themselves as “an old-time hardware store with a home town feel.” According to their website, Meadowbrook distinguishes themselves as the area’s only Weber Grill Alliance Dealership. The Meadowbrook employees are happy to offer a wide variety of services, such as window repair and pain mixing, to go with their incredible variety of house and garden products. Stop by their showroom to check out their Weber Grills and other outdoor living products for yourself.